An impossible mission. A planet where death lurks at every turn. Sybil of Planet Valkyrie can't go home to her four husbands (or will it be five?) until she confronts the rulers of Planet Fury, where assassination is a popular pastime. 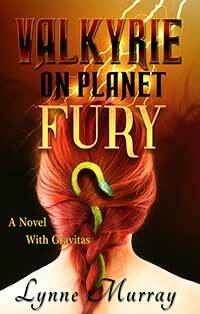 Get a FREE copy of Valkyrie on Planet Fury when you sign up for the Reader's Group mailing list.